In the spring issue, it is all covered. Recently, Scott Haugen took a trip to Sonora, Mexico, and he has included an article on hunting south of the border that you will not want to miss. As always, Patrick Meitin adds his insight on how to scout for Northwest whitetail deer; and how to tune up for next year’s bow season. Editor, Darren Choate tackles the tough issue of hunting ethics in his “Where Do You Draw the Line?” column, which addresses trail-camera use by hunters. Well-known hunter, and TV personality, Mark Kayser, has joined the team, and Mark has provided an article on how to hunt Dakota whitetail deer in his feature for this quarter. The newest member of the team, Juniors-Only editor, Colton Choate tells the story of his Coues deer hunt from last fall. Our website follower, Matt Brady, has included a Coues deer article based on his recent hunt in Arizona, in an area burned by the Horseshoe 2 fire last summer as well. Two pro staff members, Shelton Boggess and Daniel Hawthorne, have included articles on hunting Coues deer in southern Arizona, and Northwest whitetail in Washington, respectively. Western Whitetail magazine is dedicated to White-tailed deer hunting across the West. We cover all of the Western Whitetail sub-species including, Carmen Mountain, Columbian, Coues, Dakota, Northwest and Texas. Our publications cover the West from Mexico to Canada and from the far Mid-west to the Pacific Northwest. 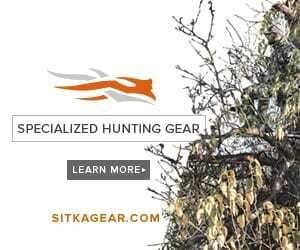 For more information, visit www.westernwhitetail.com.